The summer holidays are here. 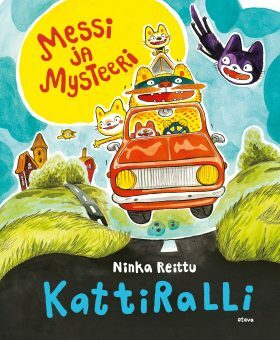 Messi and the cat family pack the car and drive off on a holiday trip. To the delight of everyone, a hitch-hiker joins the group: it’s the Mystery Cat, Messi’s mysterious friend.